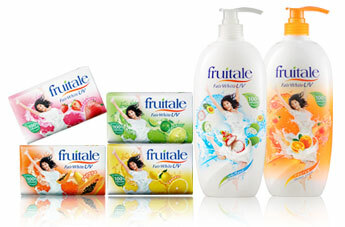 Shower your skin with the youthful beauty of new Fruitale FairWhite UV. It’s made to gently cleanse and deeply nourish your skin, leaving it soft, smooth and refreshed. Derived from 100% organic fruit extracts with yogurt that helps to whiten and improve skin complexion; BioWhite provides triple moisturising action to hydrate, restore and protect your skin’s moisture so you feel luxuriously soft with a radiant glow.